Welcome to Villas Algarve where we offer you the choice of 1157 holiday rental properties throughout Portugal and 807 vacation Villa and Apartment rentals specifically in the sunny Algarve region. 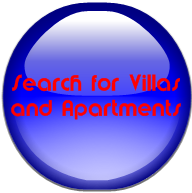 Villas Algarve offer holiday rentals, holiday Villa rentals and apartments for rent in the following Algarve towns and Algarve resorts in Portugal. Holiday Rental villas in, Albufeira · Almancil · Alvor · Armação de Pera · Carvoeiro · Faro · Lagos · Loulé · praia da Luz ·Monchique ·Monte Gordo · Olhão · Portimão · Praia da Rocha· Quarteira · Quinta do Lago · Sagres · Silves · Tavira · Vale do Lobo · Vila Real de Santo António and holiday rentals in other smaller resorts and villages throughout the Algarve. All our properties have up to the minute calendar availabilities and many have instant confirmation! We have a wide varied selection of rental properties, from the villa owners direct, most of which have private swimming pools. They range from simple cottages and apartments to luxurious villas accommodating up to eighteen people. Some of our homes are in the rural "Real Portugal" others are beach front homes. We spend a great deal of time ensuring that the information on our website is as accurate as possible. Perhaps you want a villa which is totally private but do not want to feel isolated, or maybe you have an aversion to bumpy tracks. We can't guarantee that the neighbourhood dogs won't bark during your holiday but we can help to ensure that there are no nasty surprises awaiting you on your arrival. Villa Rentals in the Algarve and holiday rentals in the Portugal in general are big business so you should expect to be treated with professionalism and with courtesy. We always recommend you "ask" the owner , who is the expert, if you have any questions. When you book through our site you are dealing with the owners direct so you are getting the very best prices but with the security of our guarantee through our secure booking and payments system. When designing this site we tried to ensure ease of use. Our primary concern is fulfilling the needs of the traveller or holiday maker and supplying what information might be relevant to you. So we have provided information on each of the major Algarve towns and Algarve resorts including history, images and links to restaurant guides and reviews specific to the resorts in which we offer holiday rental villas and apartment rental. Some of our pages also provide links and telephone numbers to restaurants so you can book your favourite table in advance. You can also read reviews on each of the properties that you like and see what other travellers have to say about your choice of holiday villa or apartment rental. We provide a list of the best Algarve beaches. We provide a comprehensive list of Algarve Markets. We have a page for links to the various activities that you can experience while on holiday in the Algarve. On this page we have also provided a holiday weather link so you can see what the Algarve weather forecast will be up to ten days in advance. Above all be secure in the knowledge that you will be sure to find a holiday rental that is just right for you. When you arrive you want as many of the comforts of a 5-star hotel as possible, plus the privacy, freedom and security of your own home.